I’m marking IB. Again. Trying to remember all the things that I knew lots about once. Amazing how it all comes if not flooding at least trickling back along with the sense of either hilarity, outrage or despair at what students write down. For some, hope indeed springs eternal, at least in the temporal time-warp of the exam-room. Physics is agonisingly, piercingly precise and there are people out there of strange persuasion who like to both make up exam questions then tell you what they think the answers should be. Such persons are known as Chief Examiners. I am constructing a mental picture of mine. I expect him to be conservatively dressed, probably in a grey suit with a plain shirt and tie, together with polished black shoes whose laces are exactly the same length. Little Mr Neat without the centre parting. Shortening his name to an affable “Mick” or “Dave” earns a frosty, disapproving glance. Probably from his wife, should he ever have summoned the nerve to acquire one. Assuredly, he is introverted to the point where he still blushes, slightly but distinctly sociopathic, perhaps obsessive (no perhaps about it), and certainly compulsive. 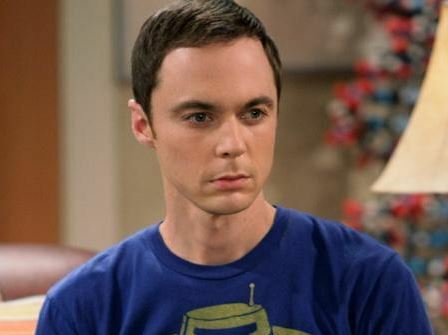 A grown up version of Sheldon in “The Big Bang Theory”. If anybody I happen to know should say “Ah” at this point, they can consider themselves unfriended from Facebook. 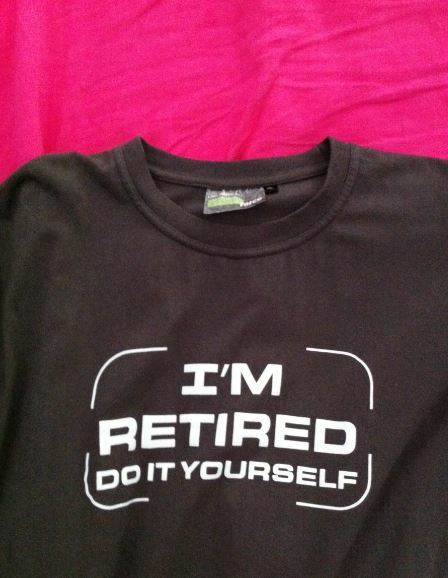 Finally – always save the best till last – what about this. Excellent. Lots here to think about. Roman armies broke step on bridges so they wouldn’t collapse. 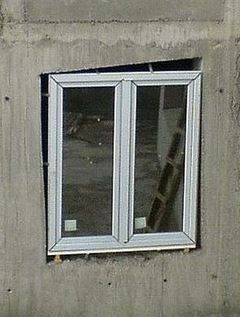 A steady tramping round the walls for nearly a week might have set up a subsonic resonant vibration in the foundations. The citydwellers might have noticed a bit of subterranean rumbling, like a Tube train, perhaps the odd flake or two of mortar falling off the ceiling but thought nothing of it, after all the apartment was insured. Seven times on the last day, just to pound the foundations to pieces. Then, the good bit. If you’ve never heard a shofar being blown by an expert, it’s worth hearing. Now imagine quite a number of priests, well-practised and non-smokers, giving it large for an extended period. The Noise Abatement people would be knocking on the door within minutes. Long blasts would be like standing in Earl’s Court Road with a Guns N’ Roses concert going on inside. People take cover, scuttling for their prized possessions as the walls require a different resonant frequency to the foundations and begin to vibrate, as the textbooks say, with ‘increased amplitude’. The wall of shouting does the rest and eventually, bricks and mortar being quite brittle, the whole structure just caves in. For those who don’t believe a word of it, watch what happened to the Tacoma Narrows Bridge. No shouting or marching feet this time, just a ‘mighty rushing wind’. The bridge collapsed in November 1940 because of a resonant effect between the material of the bridge and the wind whistling down the gorge, rather like blowing a reed wind instrument to make a loud sound. So, ha. Thanks to my other blog for this. Postscript. Pentecost Sunday was last week and we were all asked to wear red. I was going to go as Santa Claus, but thought better of it. Living here is sometimes dislocating, often frustrating. I am forced more than I wish by temperament to spend time just being. Not doing – except mundane tasks which are sometimes necessary. My skills, once so carefully nurtured as a source of pride and accomplishment, are simply not necessary here. Being ‘retired’ is like driving a different vehicle on a different road where the car itself has a strangeness about it and the journeys made in it are unpredictable. There is almost a fear of looking inside to find wellsprings of familiarity and old certainties are no longer as well-anchored as they once were. At its heart, such conflict might be reduced to selfishness which is a trite and self-deceptive turn of phrase. I and I suppose many like me – how cowardly to put that bit in – are fundamentally self-serving. The snarling, growling savage in me feeds himself first and the Devil take the hindmost. The ‘others’ are less important than the ‘me’. My lack of compassion appals me sometimes. A writer in Oxford whose work I admire, spent time as an eighteen year old novice in Kalighat, Calcutta, Mother Teresa’s ‘home for the dying’, writing an award-winning piece here. She will forgive me for quoting her. “Just one drop removed from the ocean of misery but the ocean would be greater if it were not there.” A clear voice magnificent in futility and so very rich in hope. It is not, therefore, out of condemnation, but out of the desert wanderer in me that I find myself re-reading some of Henri Nouwen’s work. Every time I pick up something of his, it’s like a silver bullet, a lighthouse whose revolving beam briefly illuminates me, trying to be inconspicuous in the shadows. He was a Catholic intellectual, a priest and pastor, who spent the final years of his life at a L’Arche community called ‘Daybreak’ in Toronto, where people with developmental disabilities live with those who care for them. In his writings, he speaks less of the physical difficulties, inconveniences and setbacks which invariably surround such a lifestyle. Instead, he speaks of hope, reconciliation and joy. 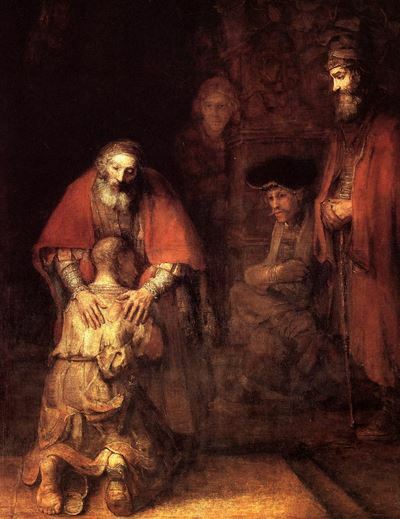 After an exhausting lecture tour he discovered Rembrandt’s ‘The Return of the Prodigal Son’ and went to the Hermitage in (then) Leningrad to see it. I have to confess to having seen it as well, but it clearly made less of an impression on me than on him. Out of his reflections came the call to make his home at L’Arche. He wrote: “Though I am both the younger son and the elder son, I am not called to remain them, but to become the Father.” It’s interesting that he does not speak as an ‘arriviste’ – part of his deeply embedded humility is that he saw himself most often as an ‘ingénue’. He writes: “Compassion asks us to go where it hurts, to enter into the places of pain, to share in the brokenness, fear, confusion and anguish. Compassion challenges us to cry out with those in misery, to mourn with those who are lonely, to weep with those in tears. Compassion requires us to be weak with the weak, vulnerable with the vulnerable and powerless with the powerless. Compassion means full immersion in the condition of being human.” I suppose I have a long way to go, then. As a guitarist, I am supposed to have a slightly better than average degree of manual dexterity, thus small home improvements should give little cause for concern. 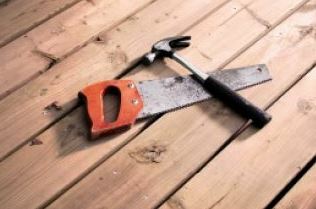 After all, the only thing I need is a decent set of tools and the right materials and I ought to be able to turn my hand to virtually any small task as required. Ah. Some home improvers have internal wizardry beyond my understanding. Measurement is a careless art, the more-or-less approach beloved of electrical engineers allows them to demolish walls, create windows and reconstruct vast tracts of external masonry with the same espièglerie and joie de vivre as drilling a small hole. By contrast, my own frontal lobe, pathways gruellingly mapped by years of thinking like a physicist – I wouldn’t really claim to actually BE one but I know in principle how it is done- looks for rules, protocols, procedures and method. Order is everything, clean tools laid out in their order of use and materials meticulously cut to size. I have no problem developing the rule book; actually employing the rules is an entirely different matter. Also, gnawing relentlessly in the shadows, is the fearful notion that it will ALL GO HORRIBLY WRONG. Plumbing is particularly susceptible to the principle that once a small pipe has been unscrewed, with the best will in the world the entire upper floor is engulfed in water, the floor is destroyed beyond repair and the place is knee deep in a torrent of inexplicable ferocity. By contrast, carpentry looks deceptively straightforward. I know about Pythagoras and can draw a right angle with a pencil and a set of compasses. Applying such elementary notions to the replacement of a drawer slider, however, turns out to be fraught with mismeasurement, transcription error (did I mean 32.5cm or 35.2?) and the fact that although my pencil lines ares rigorously rectilinear, the saw won’t follow the graphite track so carefully created for it. Spectators watch silently. Their unspoken question ‘does he know what he is doing?’ hovers like a waiting bird of prey. Closing the drawer is fine. Getting it open again turns out to be the hard part. Especially as the handles have been removed so the front side can be cleaned, sanded and waxed. For most of us, getting it more or less right is the best we’re ever going to be able to manage and even the finest craftsmen are rarely completely satisfied with the quality of their work. We, as architects of our own personality, know the hidden flaws there as well. We know which parts have had to be repaired with filler and hope they don’t show too much. Yet, it is here where we have to either work to improve or simply learn to be satisfied. Knowing ourselves carries with it both power and conflict and in much the same way as my attempts to repair a three hundred year old piece of furniture, ravaged by decay and misuse, it is important to discern the difference between the essential and the optional.